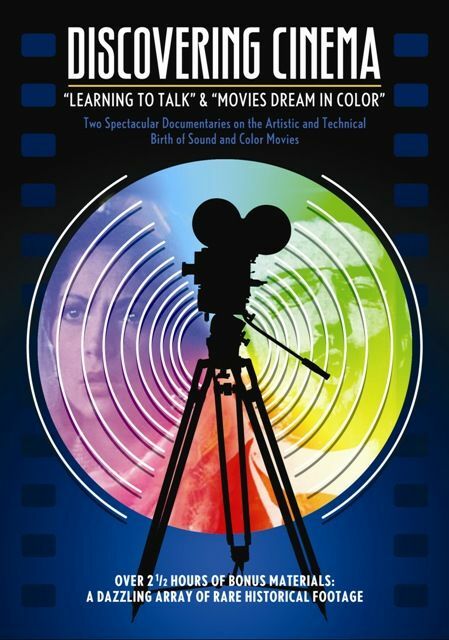 Discovering Cinema is a two-disc DVD set comprised of Learning to Talk and Movies Dream in Color, produced by Lobster Films-Histoire, 2003-2004. 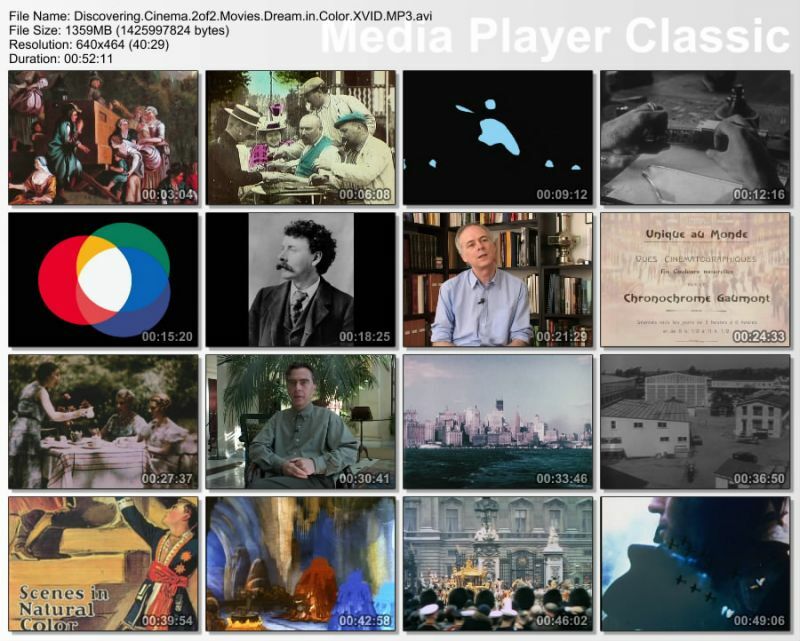 Film historians Eric Lange and Serge Bromberg compiled materials from their own Lobster Films collection and material from archives throughout Europe and the USA to create these two historic documentaries illustrating the birth of sound and color cinema, perhaps the greatest cultural achievement of the twentieth century. 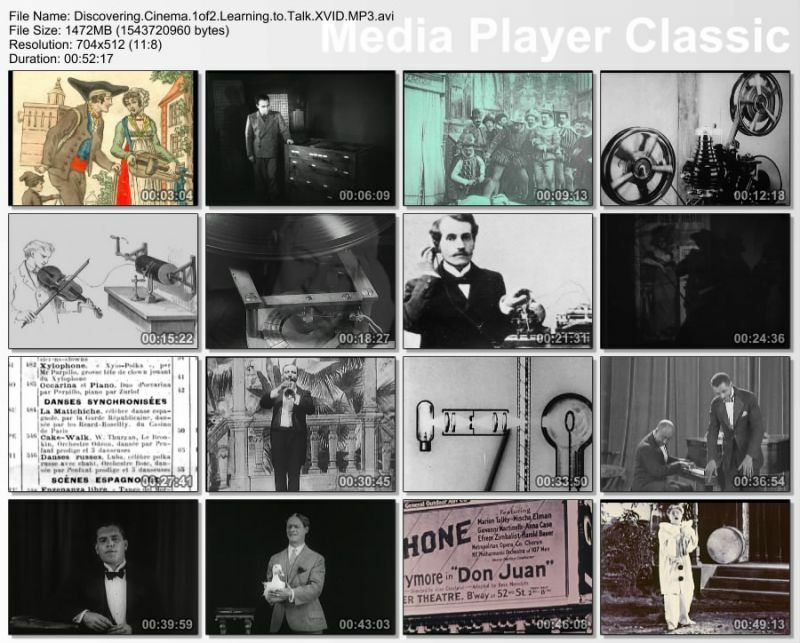 Discovering Cinema also contains over two and a half hours of fascinating bonus materials, including an extraordinary new restoration of the first live action film to utilize the three-strip Technicolor process, La Cucaracha (1934), struck from the original nitrate negatives. Additional bonus features include two 1908 films with songs performed by Enrico Caruso, a 1927 interview with Sir Arthur Conan Doyle, an example of a part-talkie as an episode of the silent serial The Collegians, the first hand-painted Lumiere films from the end of the nineteenth century, a vintage stenciled-colored Paris fashion review from the mid-1920s, unique color film images of the Marx Brothers shot in 1930, and many other wonderful treasures. Discovering Cinema has been made in collaboration with several renowned archives including the Archives Francaises du Film, the Association Freres Lumiere, the Cinematheque Francaise, the Cinematheque Gaumont, the Cineteca di Bologna, the Conseil General de Charente, the Danish Film Institute, Filmarchiv Austria, Film Preservation Associates, the George Eastman House, the Library of Congress, the Musee des Arts et Metiers, the Musee Gaumont, the Societe Francaise de Photographie, and many private collectors. Documentary illustrating the birth of sound cinema. Documentary illustrating the birth of color cinema. This page was last modified 17:48, 24 February 2019. This page has been accessed 6,605 times.